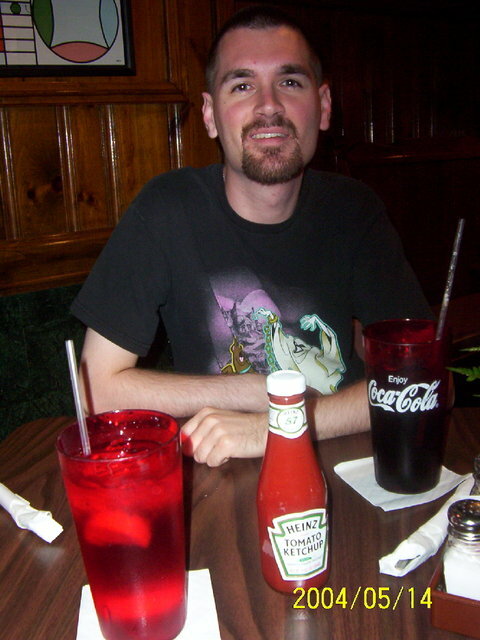 Here's David at a local Pittsburgh eatery. See the local Heinz ketchup on the table! Naturally David used the salt, but not the ketchup. Sigh.